In all honestly, it might be just a little too late for the announcement regarding the Palm Pre 2’s arrival on US shores. 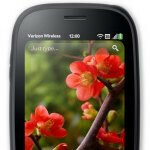 For a while there, many people were fairly certain that the latest webOS device would be making its way to Verizon, but as time continued to go on, it seemed like it was a bust. However, the handset will indeed be making its debut on Big Red’s lineup starting tomorrow as HP announced the long awaited news today at their webOS event in San Francisco. Meanwhile, it’s somewhat surprising since the existence of its successor, the Palm Pre 3, was also unveiled at the show. Nonetheless, Verizon customers can fetch themselves the webOS 2.0 powered device starting tomorrow. Sure you can skip out on the Palm Pre 2 and decide to go after the Pre 3, but you’ll have to wait until the summer to get one – with no word yet on carrier availability. Right now though, the Palm Pre 2 is going to be here and will be the latest webOS powered device to hit the US market. And HP/Palm just announced their Pre 3 that is supposed to start delivery around Summer, 2011? Why would anyone commit to a phone that is already obsolete, unless the Pre 3 is not going to be available in a CDMA edition? Nothing like confusion, eh? Not to mention the excess amount of applications for webOS. What a way to start HP! Pre 2 comes out and you announce Pre 3 honestly I don't think the Pre 2 will sell. HP just wasted money building the Pre 2 knowing the bigger screen on the Pre 3 will be a better option to wait for. I like Web Os very much but HP could have designed some different looking devices away from the Pre look like an all touch without the keyboard.